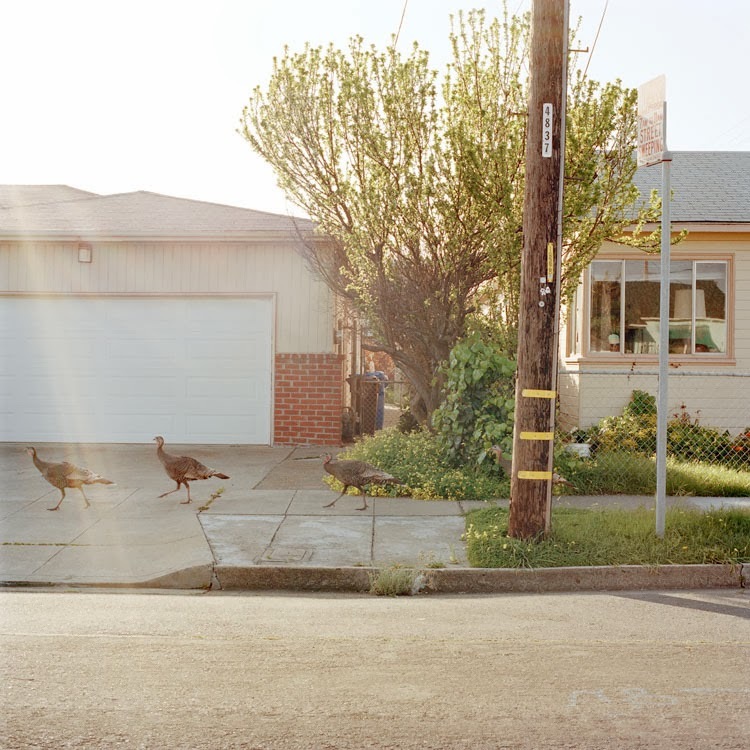 In his recently published photobook There is Nothing Beautiful Around Here, photographer Paccarik Orue takes us through the neighborhoods of Richmond, California, a city known for a reputation of high crime and economic woes. The book – published by Owl & Tiger – is an ode to the unexpected. Serving as a reminder that even in the direst of situations, there are always hidden glimpses of beauty and hope. Here Orue brings focus to the ephemeral, directing the viewer to stop, contemplate and even question the moments the photographer captures on film. 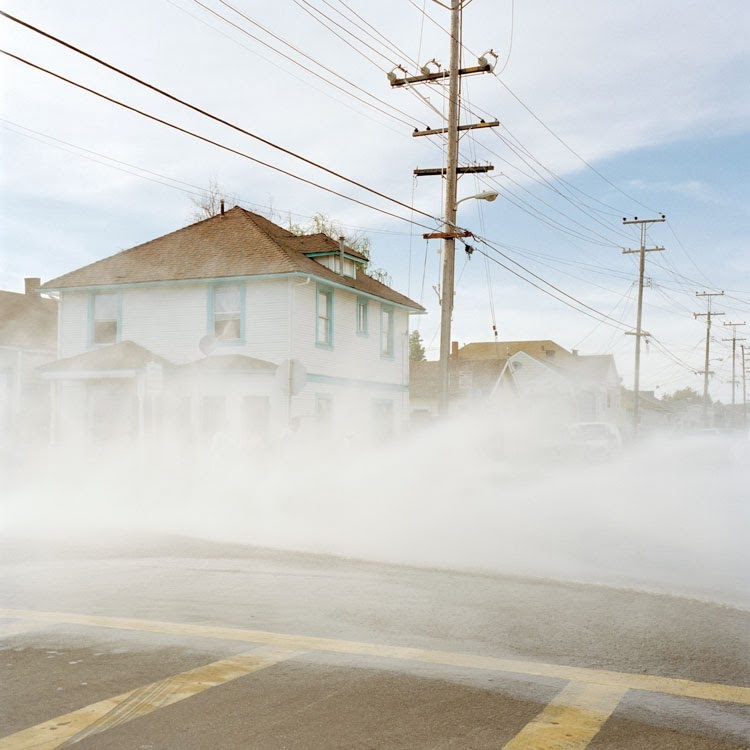 It's a refreshing series, void of the usual lifeless portraits and ugly urban landscapes we have grown accustom to regarding contemporary photography. And the book itself – a beautifully printed 3-point stitch bound softcover – serves as a striking object on its own. As a past editor for photo-eye Magazine and Newsletter, I have had the fulfilling experience of writing about countless photobooks and have overseen numerous book reviews. Independently and self-published photobooks have remained a central focus of personal interest and on the eve of my first independently published book series with collaborating artist Lara Shipley titled Spook Light Chronicles I have reconnected with my interested in highlighting and archiving the experience other artists and publishers have had bringing small run publications into the art market. In the first installment of this series, I caught up with Paccarik to discuss his insight into the process of independently publishing his own work and how that challenged and furthered his goals as a photographer. 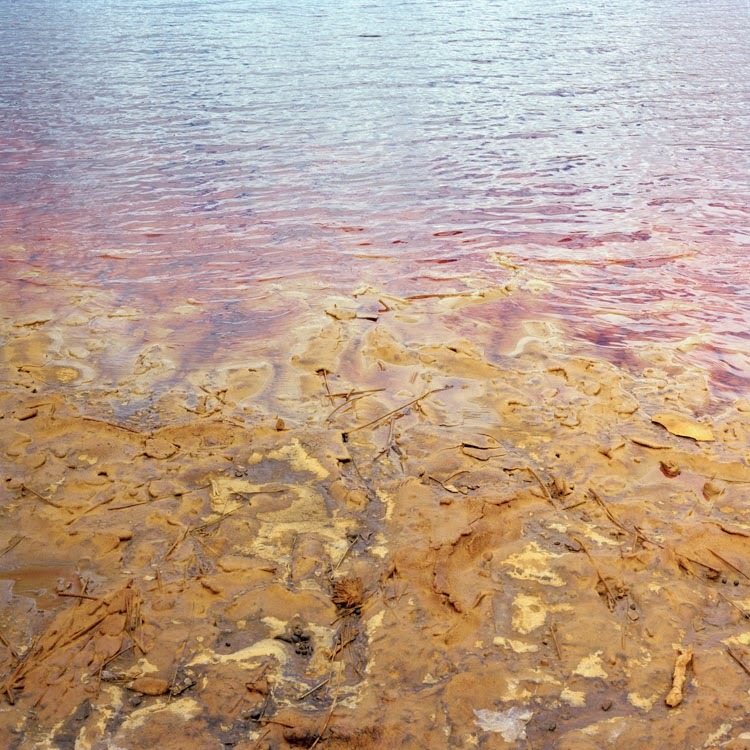 The artist also shares work from his new series El Muqui, which he was honored for as a recent recipient of En Foco's New Works Photography Fellowship. Antone Dolezal: How did the book There is Nothing Beautiful Around Here with Owl & Tiger come about? 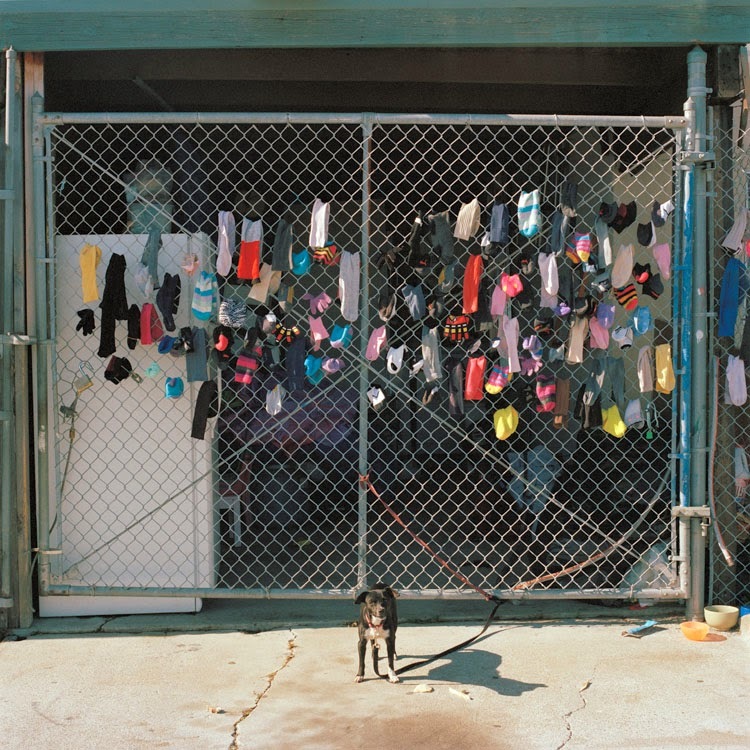 Paccarik Orue: In the summer of 2011, CENTER accepted my application to participate in Review Santa Fe with my project There is Nothing Beautiful Around Here [Eds. note: project will be referred to as TINBAH from here on]. During CENTER’s review events, the Indie Photobook Library was hosting a pop-up exhibition of current and past participants of Review Santa Fe. Seeing this gave me the idea of making a book for the exhibition. Two of my friends and Academy of Art classmates, David Bornfriend and Patrick Aguilar, founded Owl & Tiger Books after graduation. By the time I reached out to them about making a book of TINBAH they had already published a few small editions. David and Patrick were already familiar with TINBAH, and they understood my artistic sensibilities. I knew and respected their personal work as well; so working with O&T was an organic process. We had only about ten days to produce the book. I delivered the images, hand-written text, and a couple of bad drawings depicting the opening sequence of the book and that was it. I did not even see the book until an hour before leaving for my flight to Santa Fe. It was a little hectic and crazy, but I could not be happier with the results: a gorgeous handmade edition of 12 copies. David and Patrick's editing and design skills are superb, and they were able to channel the essence of TINBAH while enhancing the viewer’s physical experience with the book. 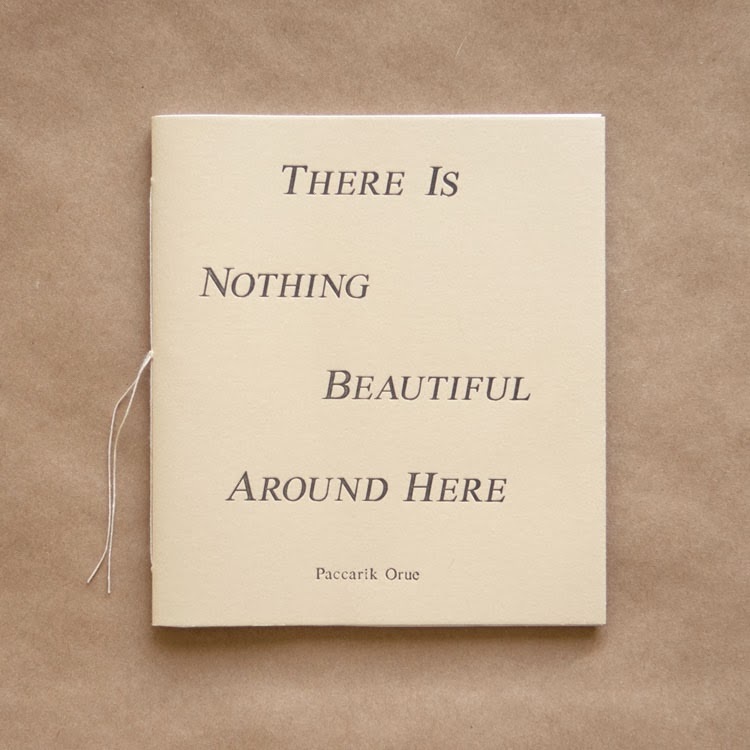 © Paccarik Orue, from the series "There Is Nothing Beautiful Around Here"
AD: You had a successful Kickstarter campaign to secure funding for the book. What were the benefits and drawbacks of approaching funding with a crowdsourcing site? PO: The first edition of TINBAH was made before the project was complete. Once I finished shooting the project a year later, I wanted to make a larger edition with more images, but O&T and I did not have the resources to make it happen, so we gave Kickstarter a shot. The main benefit is that we were able to publish the book. We would not have been able to do so without the funds raised through Kickstarter. Sharing the work on that platform also allowed the project to be seen by a wider audience, and the response and support were great. Making the video for Kickstarter was a challenge for me, but it was a good way to learn about engaging an audience to foster interest in the work. The only drawback was that I found the whole process to be a nerve-wracking experience. I had attended a Kickstarter workshop in San Francisco and I knew what I was getting myself into: thirty days of constantly checking on the funding progress, writing personalized messages and emails to people that I have not been in touch with for a long time, introducing the campaign to friends of friends and total strangers, and reaching out to organizations such as FotoVisura, Light Work and CENTER for support via their curated Kickstarter page. With only eighteen days to go on the campaign and only 28% of the funding I was seeking, I started to panic, and wrote an open letter on my blog, which sums up my fears of not reaching the funding goal. After that, I kept pushing, reaching out to people, and with the help of friends spreading the word, I finally got the momentum I needed to reach my goal and fund the project. AD: In what ways did publishing a photobook help you achieve your personal goals as a photographer? PO: Publishing a photobook helped me to engage and visualize my own work in a different way, distinct from hanging prints for a show or presenting a portfolio. The photobook allows artists the complete freedom to convey their ideas and message in a more channeled format. I firmly believe that the photobook is the best medium for artists to be heard in their own voices. Although it was not initially one of my personal goals, I now feel that photobooks are valuable as an archive. AD: Once the book was published, how did you go about promoting it and what do you see as the biggest benefit in seeing your work out their in book form? PO: For the second edition of TINBAH, we printed only 350 copies (letter press cover printed by Colpa Press, pages printed by 1984, hand stitched by O&T). 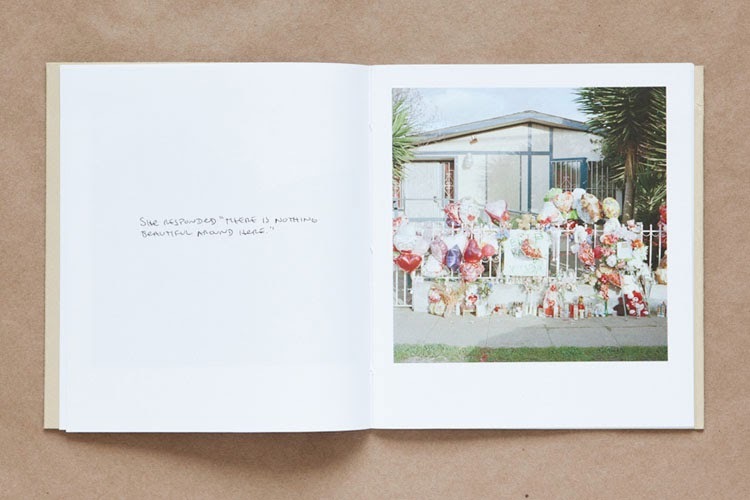 As a result, we wanted the book to be in the hands of people who would truly appreciate it, and submitting the book to public permanent collections and photobook shows is a great way of promoting the book to our desired audience. TINBAH has been a part of several photobook shows such as the Indie Photobook Library's "A Survey of Documentary Styles in Early 21st Century Photobooks," SF Camerawork’s "Cover to Cover," Camera Club of New York’s "Photobook Fair: The Americas," and the Contemporary Arts Center of New Orleans' "Unfolding Images," among others. There are only a few copies of TINBAH still available. Apart from providing the ideal platform to communicate my interests and vision as an artist, the biggest benefit of seeing my work in book form is the sense of finality and satisfaction I feel about seeing a project all the way through and releasing it into the world. Once the photobook was completed, I knew I was done with the project and was able to let it live its own life. 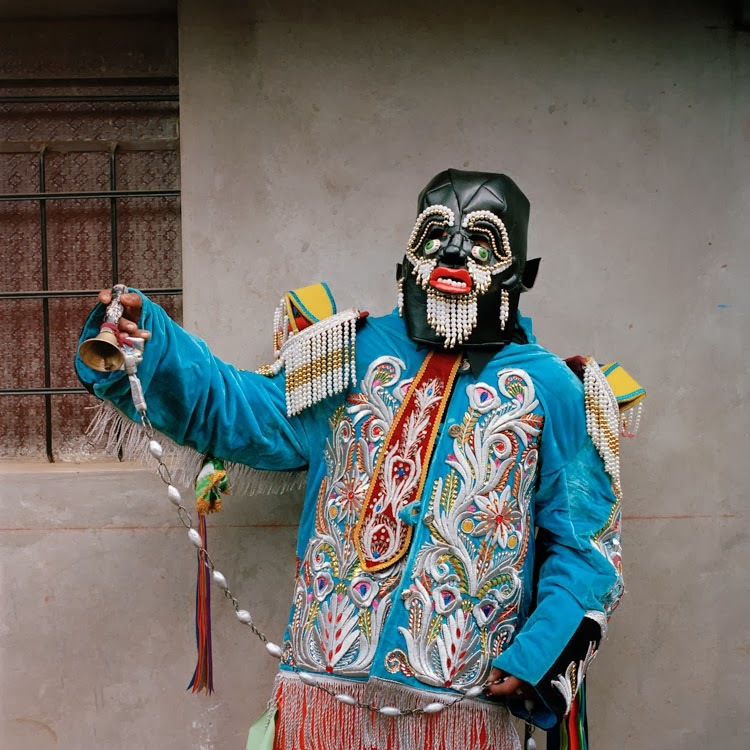 © Paccarik Orue, from the series "El Muqui"
AD: Congratulations on your recent En Foco fellowship to continue working on your new series titled El Muqui! Would you tell us a bit about this new body of work? PO: Thank you. El Muqui tells the story of the historical mining city of Cerro de Pasco, high in the Peruvian Andes. It touches on the environmental concerns surrounding the effects of the mine and incorporates local folklore and cultural traditions into the narrative. 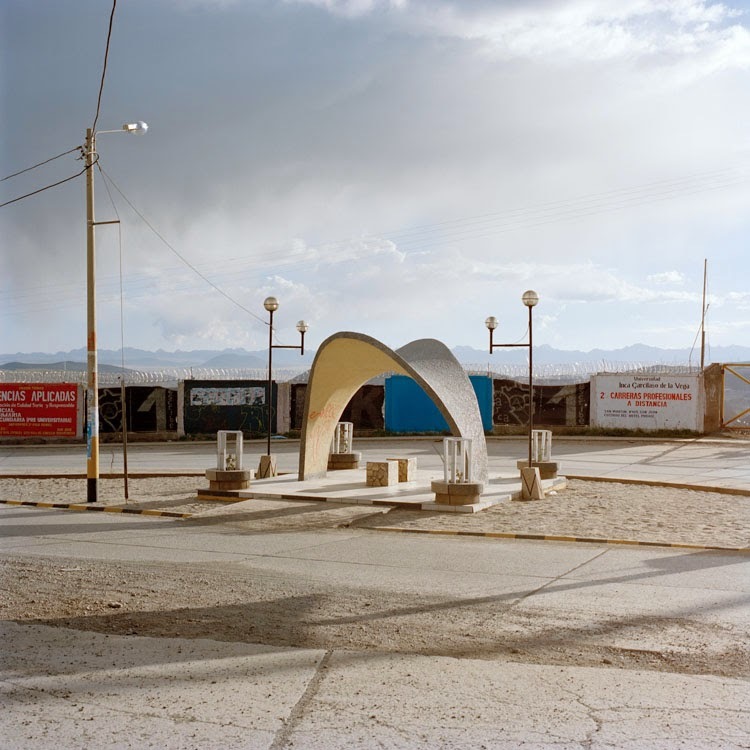 Due to the Peruvian government's plans to relocate the city in order to expand the mining operations, El Muqui documents a place and time that will cease to exist. Because of my Peruvian heritage and my connection to this disappearing land and the culture, El Muqui is a project, which is close to my heart. AD: Where is the work going from here? Are we going to seeing another book or exhibition in the near future? PO: I am hoping to finish shooting El Muqui by the end of 2013, which will permit me to focus on the editing and post-production aspects in 2014. Yes, the final goal of the project is to make another photobook. I am looking forward to working with Owl & Tiger Books again for this project. I feel fortunate to have the opportunity to work with people that I trust and connect with as an artist. I will be showing El Muqui next summer in New York as part of En Foco's "New Works Photography Fellowship Awards #17 Exhibition." Thanks to En Foco and FotoFest, I will be attending the FotoFest 2014 Biennial Portfolio Reviews with El Muqui as a scholarship artist. I am truly looking forward to sharing the work at the event, and I am excited about the future and the endless possibilities it will offer. Paccarik Orue was born and raised in Lima, Peru and currently resides in San Francisco. As a photographer, he is interested in creating work that stirs emotion about his subjects and that leave the viewer with more questions than answers. He earned his BFA in photography from the Academy of Art University in 2011. His work has been featured in Visura Magazine, Conscientious, Feature Shoot and the Hey Hot Shot Blog and honored by Photolucida, CENTER, Hey Hot Shot and American Photographic Artists. Antone Dolezal is a New Mexico based artist and writer who primarily makes work about the American social landscape and its relationship to history and folklore. His work has been featured on NPR, Oxford American, Huffington Post and PDN Online and his writing has appeared in photo-eye, Ahorn and Fraction Magazine. Antone recently published his first photobook Spook Light Chronicles vol. 1 with collaborating artist Lara Shipley.